Embrace the science of agriculture! Hear from Glenda Crook, your Region III Vice President about the benefits of agriscience, read about an ag teacher who makes the most of his students' test scores & apply for the National Agriscience Teacher Ambassador Academy! All this & more in the March edition of News & Views! Presented by Zoetis, the Veterinarians on Call YouTube channel features real-life vets doing a variety of tasks. This week, Dr. Don Goodman of Texas shows the use of artificial insemination to improve cattle herds for customers who don't own a bull, and teaches a vet student how to perform the procedure. Click here to watch the video. We have made improvements to the housing process for the 90th National FFA Convention & Expo. Based on feedback received from the post-convention survey and FFA In Service, we are implementing an online reservation process for all convention attendees who want to reserve a room within the National FFA Housing block. For detailed information, log in to FFA.org and select the housing document in the “What’s New” section of the Toolbox. If you have questions, email us, convention@ffa.org. Interested in serving as a National FFA Teacher Ambassador? Applications are now available for the 2017-18 term! Click here to apply. The application period closes March 24, 2017, at midnight (EST). The scholarship application is now available and we ask that you share with any and all proper contacts that could get this in potential recipient’s hand. 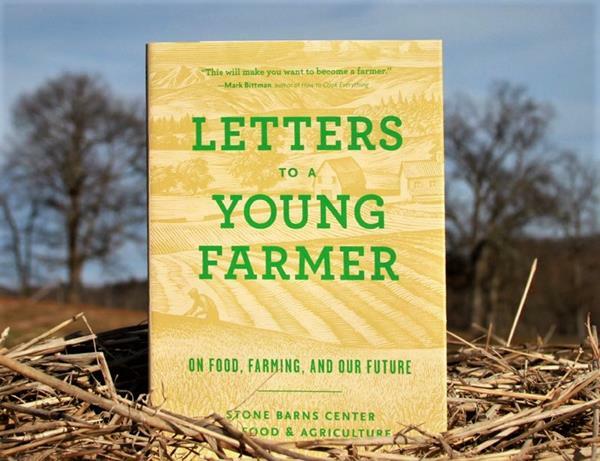 Friday, March 17, 2017: Food security challenges and debates, budget cuts will affect agriculture, and a new book provides “letters to young farmers.” Linked stories also look at cherry blossoms, a hyper show dog, and chickens with diapers. These and many more ag/science links in this week’s newsletter.